The YouTube team works very closely with its partners, since it’s content creation that brings all of that traffic back to the site for Google. By providing content creators with tools to succeed, YouTube makes sure that it can keep them there with cutting edge technology and features. Today, one of the most requested features by YouTube partners, is being expanded to more of them. Custom thumbnails is often seen as the ultimate way of getting someone to click play on your video. Think of it as the homepage for your video, you want it to be pretty and enticing enough to make people want to explore. 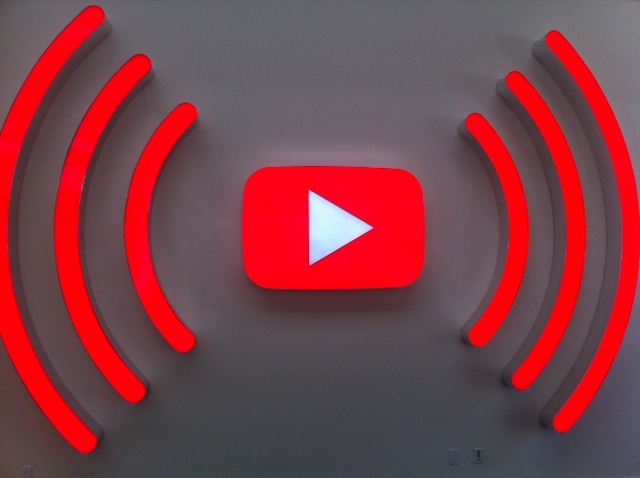 I sat down with two key members at YouTube that work on this feature: Andy Stack, product manager and Nilofer Motiwala, software engineer, and they gave me a bit of insight into why this is so important for YouTube and its partners. Visiting the YouTube offices in San Bruno is always enjoyable for me, because it’s a reminder that just because a company is acquired by Google, doesn’t mean it loses its culture and identity. There are two reasons why custom thumbs works for people: Promotion and to drive traffic. The way that the site used to work is that view counts were the primary currency. Having a thumbnail that stood out worked. We have an emphasis on watch time right now, though. While it’s still important for thumbnails to stick out and be visible there’s now more of an emphasis on delivering good content. Custom thumbnails are also a great way for creators to express their brand. It’s a great way to extend your branding through all mobile devices and pages. One of the first things that I wanted to know is why this hasn’t been rolled out to “everyone” as of yet, even though I figured that it was for a technical reason. Motiwala re-affirmed that rolling something out like this has to be done in a controlled way, so it can properly scale. Not only is this for engineering’s sake, it’s so that the YouTube team can watch all of its metrics, so that it doesn’t release a feature that would ruin the user’s viewing experience. Sure, picking a custom thumbnail might lead to some “gaming”, meaning a video creator could add a screenshot of a lady in a bikini to drive up their views. In the end, it won’t pay off because Stack tells me that viewers will stop watching when they figure out that they’ve been tricked. Custom thumbnails have caused a few of its partners to run and buy Photoshop, so that they can create an eye-grabbing preview to capture the imagination, and views, of potential fans. This feature has been around for quite a few years for partners in the partner program. The key event that happened earlier this year was the expansion of the partnership program in April. Along with that came more users and more channels. That was a period in time where along with that came requests for custom thumbs, and it was a big request. As with any large community, what to build or not build for your users are difficult decisions to make. Motiwala tells me that the team is always keeping in touch with different segments of its partners to get trusted feedback and requests. Since different buckets of users give different buckets of requests, this approach helps YouTube decide where to focus its time. I’m told that more metrics for its content creators could be on the way, as well as more tools to make beautiful content. The customizable thumbnails should be rolling out to more partners over the next few weeks and months. By supporting its content creators, YouTube ensures that it won’t be seen only as a “cat video” site, even though those are some of my favorite videos.